I have finished my apprenticeship in the hotel industry. After that, I gained some experience at the front desk in a hotel in Garmisch-Patenkirchen. I’ve worked there a few years but then I decided to work for Kempinski, a 5*-star hotel at the Munich Airport. I got more acknowledge at the banqueting department. I worked as a Banquet & Conference Manager in another 4*-star hotel. After another few years in the hotel industry I thought it was time for a change. I started in the retail business and worked together with my parents in one of their stores in Munich in 2004. I completed an advanced education as a trading manager. I’ve never dreamed of going back to the hotel industy. But in the end I’ve been working for the Historische Mühle Vogelsang. I am pleased to say that the Historische Mühle Vogelsang enjoys an excellent reputation for providing a warm welcome to all our guests and we are known for our home-made, traditional food, which is prepared with care. We started a new project in 2016: Miniköche Deutsches Eck. Cooking together with young children is fun! We teach them how to prepare food and how to cook it properly without wasting to much! I am looking forward welcoming you soon! I’ve started in the hotel industry at an early hour! I grew up in my parents business and I decided to start my apprenticeship in the hotel industry, too. I really enjoy having contact to different people with different nationalities as well as providing a warm welcome to all of our guests. My ambition are high standards throughout the restaurant and accommodation areas. I’ve decided to work abroad several years to gain more experience and enjoyed travelling around. Finally I’ve worked for the 5*-star hotel ArabellaSheraton Grand Hotel Munich, today’s WESTIN. After several years strolling around it was time for a change. I started an upgrade training course as a state approved master of hotel management in 2007. I also worked part-time at my parents business. We took over my family business in 2011. I did another education as a Social Media Manager in 2015, to integrate our company into the Social Media World. I took another class in 2016. I visited the IHK Koblenz and got a degree as a herbalist. All collected herbs find use in our kitchen. Nowadays I focus on kid’s birthdays, different events and herbal events. 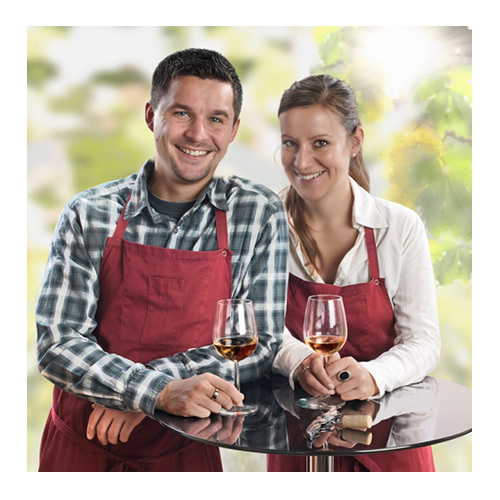 We are desperate to keep the family business alive and we would like to combine tradition with nowadays modern spirit. All gained experience and knowledge might be helpful for our small establishment. My ambition brings our guests to former times, let them forget about their daily stress and enjoying a pleasant meal or stay with us. We are ambitious to keep the ambiance and elegance of those gone-by years. I am looking forward welcoming you soon! Our team includes many other helpful and friendly staff! A family run business for over 50 year is providing happy holidays for thousands of people over the decades. We feel oblighted to live hospitality and keeping the business and spirit alive! Our business runs honest and loyal. Heartiness, friendliness, flexibility, creativity, commitment, konw-how and helpfulness are exemplary. We are human beings for human beings. We treat our guests and our employees with respect. We are proud of the archieved results and we won’t rest on one’s laurels! We avoid the use of flavour potentiator, synthetic flavours and no preservatives or artifical colors. We use fresh and naturally grown products from our region. We attach great importance to adequate animal housing and accurate market gardening. We work together with local supplier. We offer an area of outstanding beauty, where the hustle and bustle of busy life seems a long way away. We act responsibly towards the environment and nature. We are fair and honest in calculating our prices. We realize profit for an financially independent business. We fulfill our social responsibility. We try to promote local soccer clubs, sports clubs, kindergarden and help the animal shelter. We work as a team and every team member has his own job describtion. We confide every team member. We are happy to offer extraordinary services and a high quality of products. There is no difference between standard and activity. We challange our competitors, relying upon our competence, our skills and abilities. We are passionate hosts and we are very proud of our tradition, the unique atmosphere, the beautiful architecture and the charm of our mill-we put our heart and soul into this piece of landscape.